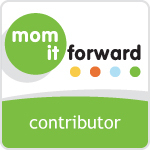 I received a #VTechSafeandSound video baby monitor from VTech and Mom it Forward to review here on the blog! All opinions are my own, and let me tell you…I am in love with it! Check out the VTech Safe&Sound Video Baby Monitor! Being able to keep all eyes on 3 kids 24/7 is tough. Especially when they all have a mind of their own and I’m trying to cook, clean, or even just go to the bathroom by myself for 2 minutes. Forget trying to take a shower alone! Since I don’t literally have eyes in the back of my head, I’ve always depended on a baby monitor. I had the old school ones, until very recently! I am in LOVE with the VTech Safe&Sound Pan and Tilt video baby monitor! This baby ROCKS my SOCKS! I’m so grateful that I have the chance to have one because it’s saving my sanity and it allows me to unwrap these children from around my legs ALL day long! One awesome feature is that the camera zooms up to 2x and tilts 124 degrees up and down so I can see both of the younger kids who share a bedroom. I can see the baby in his crib and then, pan the room up to 270 degrees side-to-side so I can see kiddo #2 in his toddler bed! The talk option is probably my favorite feature because the 2 year old loves to sing himself to sleep. If he wakes up in the middle of the night, momma can sing him back to sleep. Ohh, and I can keep an eye on the room temperature too!! How awesome is that?! Momma can enjoy some quiet TV time alone now! The kids can play in their room and I don’t have to get up 15 times to check in on them. I can see them from my new handy dandy monitor. Oh, and my oldest 2 and I can go outside to play while the baby is napping and I can still see and hear him. It makes a momma feel better to know she can see her baby 24 hours a day! At bedtime, when it’s peaceful and quiet – I can mute the video baby monitor and and still be alerted to noise levels in the kids’ room with the vibrating sound alert. I love that because I can tell there’s noise going on yet it won’t wake daddy up! 5am comes awful early for him! We’ve always been huge fans of Vtech. Now we can add the VTech Safe&Sound video monitor to the list of things we love! If you’re looking for a new baby monitor or buying one as a gift, I highly recommend this one!! One other thing I hadn’t mentioned. You can add up to 4 cameras and monitor all 4 from the same video monitor! That’s perfect for large families! What is your favorite feature of the Vtech video monitor?